Our Carrying Case is engineered to provide both protection and convenience when traveling with your system. Composed of two cases, the soft sided case provides a convenient and easy way to transport the coils of the system, while the hard shell case protects the electronic assemblies of the system. •	Soft case is made of durable ripstop nylon, which encloses a strong yet lightweight aluminum frame. •	Shoulder Strap and handles make it easy to carry. 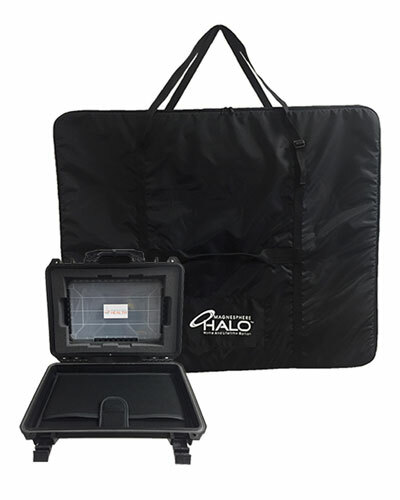 •	Hard shell (pelican like) case protects the electronic assemblies of the system, including Chromebook.